Since Eve ‘sold’ the apple to Adam, the best form of advertising is word of mouth. The internet has expanded the definition of word of mouth to include Facebook posts, Tweets, and online reviews. When you are looking for a new restaurant, hair salon, or a veterinarian, you’re impressed by a place that has a lot of stars, with compliments to match. We don’t want to brag, but at Town N Country, we have a lot of really good reviews. That’s because our pets have these amazing owners that like to say great things about us. We want to express our appreciation for all of those nice things. 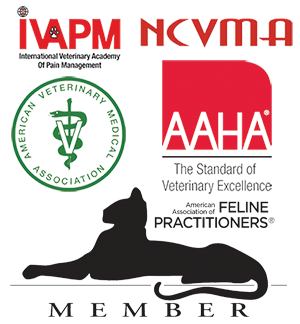 We know you could take your fur babies to one of many veterinarians in Alamance County. We’re grateful that you’ve chosen us. PS If you’ve not left us a review and would like to (wink, wink! ), here are a few places you can share on Google, Yelp.com, Facebook.com or any of the other online reviews. You can also simply send us an email here, and we’ll post it on our website. Phoebe and Fido are scratching and biting and rubbing…and they are miserable. If you have an itching suspicion that your pet has allergies, we may recommend that you have us test your pet’s blood to see exactly what the specific allergen is for your pet. The Test. The allergy testing we do at Town N Country starts with simply taking a blood sample from your pet. You can leave your pet on any allergy medications she is currently on, including steroids. We take the blood sample, spin it in a centrifuge, and then send it away for analysis. The Culprit. Once the results come back, we help you formulate a treatment plan. For some allergies – like flea allergies – we can help you eliminate the source. For others – like pollen or dust mites – we help you manage the symptoms. The Reaction. Your pet may benefit from immunotherapy treatment, which gradually helps your pet’s immune system build a natural tolerance to the allergen. 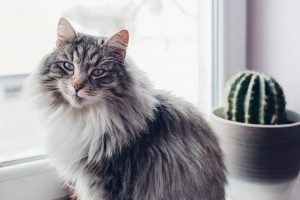 This alternative may involve allergy shots or drops, but over time, your pet’s allergic reaction is reduced so that he no longer suffers from symptoms. Since every pet and every allergy is different, each course of treatment is different, too. Come talk to us about the options available. Allergy testing can be a great tool in the process of learning what is bothering your pet, and how to stop it.